Do you ever play that game where you wonder what you would save if you're house was burning down? Well for me, it would be the cookbooks from both of my Grandmas. 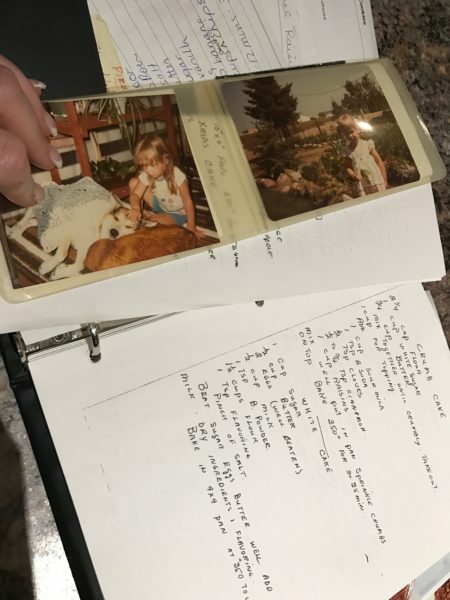 My Grandma Diehl's cookbook is her actual cookbook complete with smudges and jot notes, whereas the cookbook from my Grandma Park was made by her for each granddaughter with her favourite recipes and photos. Two of my most cherished possessions. But it's Grandma Diehl's book that I gave myself as a goal this year. 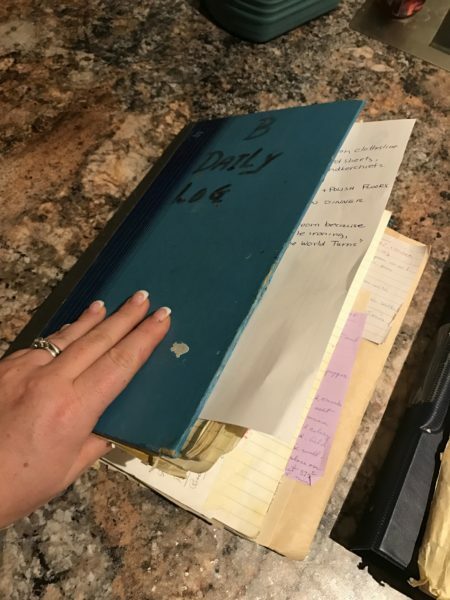 My Grandma Diehl passed away 5 years ago this April and I have been wanting to go through her cookbook and recreate it so everyone can enjoy the smudges and the jot notes and the delicious recipes that brought us together around the table. It's just a little bit more of an emotional project and I have to be in the right frame of mind, which I am finally finding. 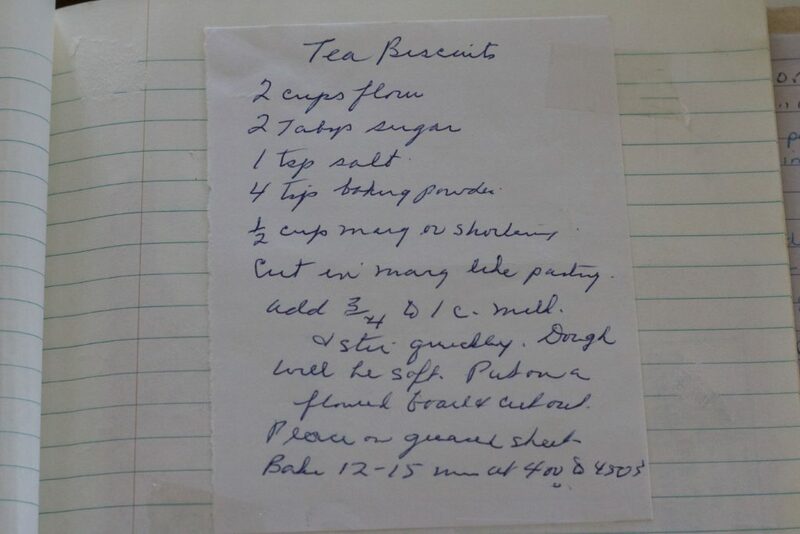 I went out to my Aunt's place this past week and was able to record some of my Grandpa's memories regarding Grandma's cooking and decided what better way to start my cookbook project than with his favourite thing she would make: tea biscuits. My goal is to have a sit down with all my aunts and uncles at some point this year, recording their anecdotes to add character to the pages of the family cookbook. But why tea biscuits? 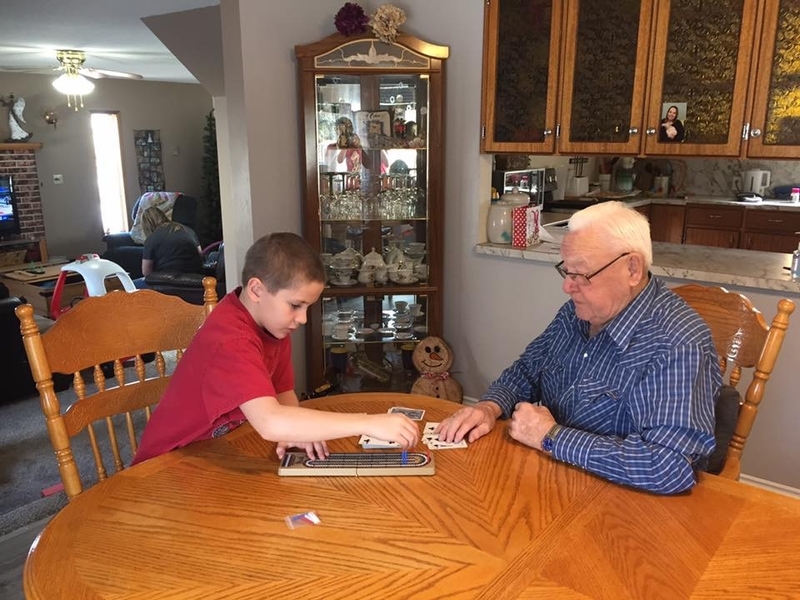 Well Grandpa told the story about how when they were first married and working on a farm in Eston, Saskatchewan, Grandma would be in charge of breakfast for all the men. "....And the men they could sit there and eat; you couldn't feed them enough. She had honey. So the boss come in there and when he saw how much the men were eating he said: Irene, you put 4 biscuits on each saucer for the men and that's all they get. They can have their bacon and eggs and their 4 biscuits. She made them all the time." Hop over to the Blended Blog to see how the recipe turned out. I think about that stuff all the time. I also think about the first things I spazzed out about after the tornado hit my house. Really gave me some perspective on this kind of stuff. What a priceless treasure to have. That is so awesome. I wish my grandma could have cooked. She did not inherit the gene. My great grandmother was a fantastic cook (according to my dad)....she grew up in a family that owned Italian restaurants. My grandma, on the other hand, Ragu in a jar....turkey in a microwave once....lol. This is such a sweet project. I so wish I had something like this in my family. Your grandmothers tea biscuits sound amazing! This is awesome. I wish so badly that I had something like this. Both of my grandmothers are excellent cooks, but they never write anything down!! They always just cook by memory. I mean, what?! This is such a neat project Deena! I love it. I really should do something like this with my Grandma while I still have her with me. Especially for those extra special recipes. So cool. And those biscuits look amazing. I love this idea - something the whole family will cherish! That's so special. I am not an emotional person but preserving memories and passing things down from generation to generation just gets me. Love the ideas of stories being integrated into the cookbook. This is such a special, beautiful way to honor your grandma. Also, I'm not sure I've ever had tea biscuits? I better make them and find out :)! Such a fun momento! I have a handwritten family cookbook too!